We came to Eugene from Los Angeles in 2006 with plans to stay a while. We even bought a house. Since then, I've come to realize that while it's lovely, I don't think it's the right match for the long term. We will be here at least another year until I'm done with graduate school. Hopefully by then the housing market will be starting to stabilize. We love the Pacific Northwest, and I've kept Portland in the back of my head as the front runner for the next place we'll live in. When we were in Washington last weekend, though, we started talking a bit about the possibility of Seattle. I don't know much about Seattle... 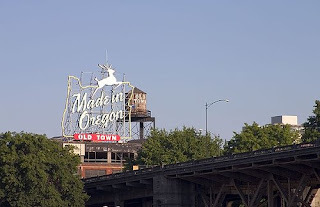 Although I've been through and around it a lot, I haven't spent any time there, especially compared to Portland, a city I know pretty well by now. So, my questions for anyone out there who's been to or lived in either city or both: Pros/cons? Opinions? Similarities/differences? Please share! This is a decision that's still far off in the future, but I'm a planner, so I'll take all info I can get. I live outside of Seattle. I've lived here nearly all my life. I adore this area. It has everything-outdoors, entertainment, art, music. Traffic is pretty bad depending on where you live. Portland is a lovely city. I've been there numerous times usually for a day or two at a time. I would choose Seattle over Portland but then again I've never lived in Portland. 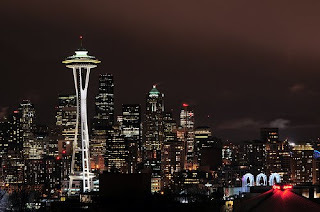 Let's sit down and talk about the pros and cons together...I am in the same boat and know endless amounts of loving information about Seattle!